Compared to Gujarati, there are relatively fewer books in English on Khshnoom. We present here some of the most important ones which have been digitized. A very short essay (perhaps Dr. Saheb’s shortest) in English, which details the life and the Yazatic stature of our revered Prophet. The book breaks the fallacy of treating our Prophet as an ordinary man or thinker and describes the descent of Zarathushtra from the higher regions and His Divine Mission and life. Excellent book for newcomers – short and not very difficult to understand. 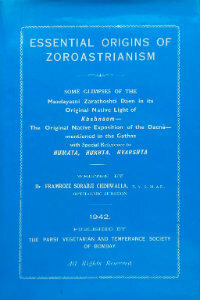 This book is essential reading for any serious student of the Zarathushtrian Mystic Revelation. Dr. Saheb Chiniwalla offers a bird’s eye view of the entire plan of Creation, summarized in the three words of Humata, Hukhta, Hvarshta, dwelling deep into the origins of the Universe and Creation and offering a fantastic idea of the wide sweep of the depth of our religion. 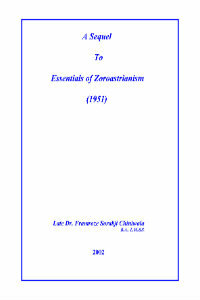 This book, published many years after Dr. Saheb’s death delves even deeper into the mysteries of the Zoroastrian faith. It offers a fascinating glimpse into topics as diverse as creation, origin of evil, food and salvation; journey after death; usefulness of rituals and many more topics, treated in a most thorough and fascinating manner. This is perhaps the most complete and in-depth book of Khshnoom in the English language. 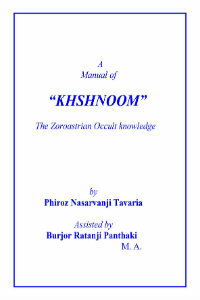 Written by an almost unknown Khshnoomist, late P. N. Tavaria, this long book of almost 500 pages covers every element of Khshnoom in great detail. The author has grouped different and difficult topics in the form of ‘Keys’ and ‘Supplements’ which introduce the reader to the interdependence and intricacy of Khshnoom mysteries. Then follows a long chapter on the life of Prophet Zarathushtra, followed by astrological readings and some hints about the future. This is not an easy book and is one which requires repeated reading, deep study and silent contemplation. 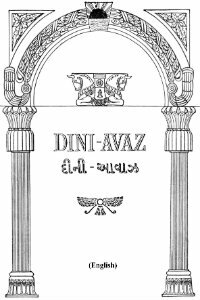 For those students who cannot read Gujarati, the Manual of Khshnoom is the only real alternative to understand the depth and beauty of Khshnoomic explanations. This scholarly masterpiece was written by Er. Phiroze S. Masani, one of the Master’s first and brightest students. At the beginning of the 20th century, some Parsi so-called scholars, under the influence of their western Gurus, began ridiculing the age old practices of our faith and began calling for ‘reform’. In the forefront of these attempts was late ‘Dastur’ Dhalla of Karachi, whose book “Zoroastrian Theology” became the bible for reformists. Alarmed by this turn of events, Ervad Masani, a full fledged scholar of Avesta, Pahlavi and Pazend, undertook to deconstruct this book. In a masterpiece of arguments and drawing heavily from extant Avesta, complete with full references and meanings, Ervad Masani, demolished each and every statement of Dr. Dhalla, even going to the extent of pointing out a whole long list of the inconsistencies and illogical arguments put forth by Dr. Dhalla. 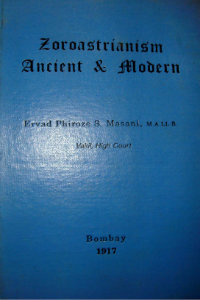 This refutation of Ervad Masani has never been challenged by Dr. Dhalla or any of his students, and this book resulted in the Parsi Punchayet cancelling its order of over 100 books of Dr. Dhalla. This book is required reading for all those whose traditional ideas are attacked or ridiculed by reformists, since it contains the answers to each of their arguments. This masterpiece was Ervad Masani’s lasting gift to our community, and bears relevance even today. 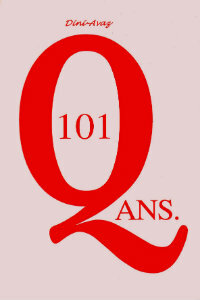 This is a superb collection of 101 Questions and their answers published over the years in the Dini Avaz magazine. The questions have been answered by Mr. Adi Doctor, a profound Khshnoom scholar and by the late Curset M. Patel, who edited the magazine till his demise in 2001. The answers are given in simple language and with a humorous twist. Many queries in the readers mind (and those that did not occur to him) have been explained in a very beautiful and concise manner. Required reading for any curious Parsi. This book is based on the series of Blog posts on the life of the Master written by Ervad Marzban J. Hathiram. 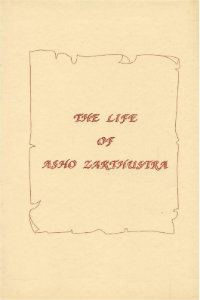 It was published as a book by the Trustees of the Zoroastrian Radih Society on the 10th Anniversary of the founding the Ustad Saheb Behramshah N. Shroff Daremeher. 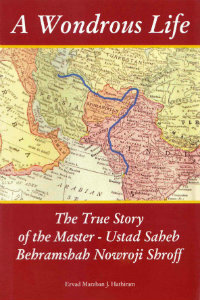 It is the most comprehensive and detailed account of the life of the Master, in English. ver 250 short one-or-two page articles on various topics published over the years in the Dini Avaz magazine. You can download either the individual articles or the whole folder. 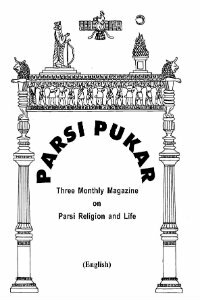 Over 150 short one-or-two page articles on various topics published over the years in the Parsi Pukar magazine, written mostly by Vada Dasturji K. N. Dastoor Meherjirana. You can download either the individual articles or the whole folder.